This original mixed media piece is a reminder of a crisp winter day. 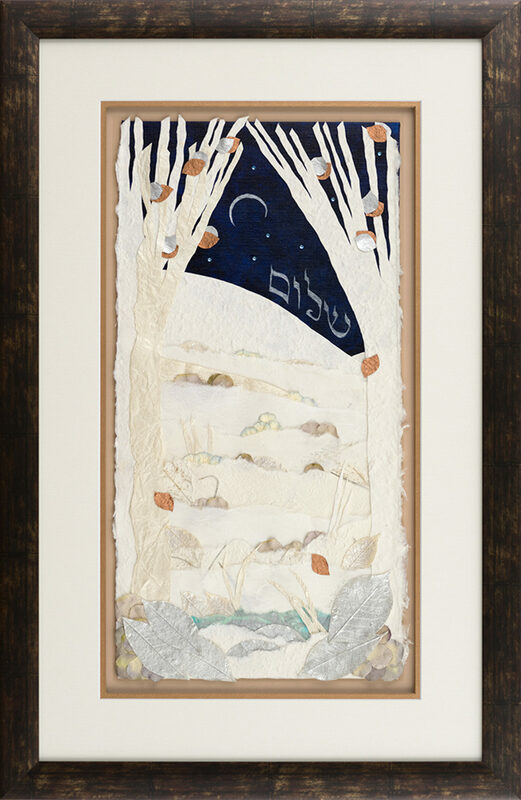 It is composed of layers of handmade paper, subtle flowers, grasses and trees all on top of canvas enhanced with Swarovski crystals sparkling in the evening sky. It measures 22” x 34” in the beautiful mat and frame.